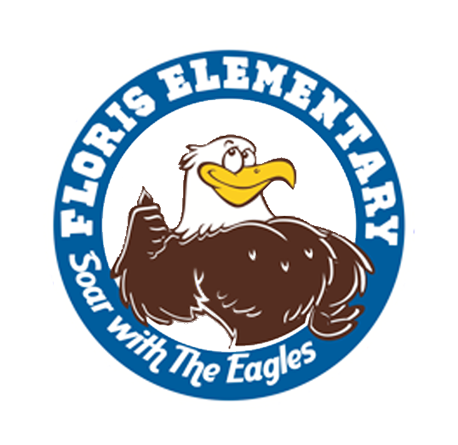 The library is an integral part of the curriculum at Floris. 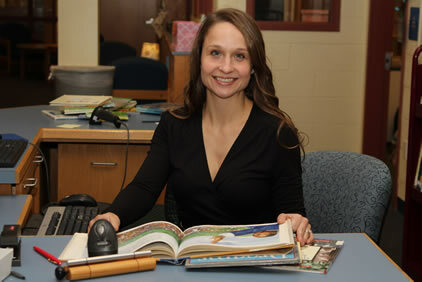 Students have access to a wide variety of print and non-print resources. Our extensive fiction collection contains the latest titles by popular children’s authors and a variety of picture books. Our goal is to select materials that not only support the curriculum, but encourage a love of reading. An up-to-date non-fiction and reference section provides material for browsing and research projects. We believe that learning how to access and evaluate information is key to students becoming life-long learners. Computers are available to allow students to use online databases or work on multimedia projects. Online resources include the online catalog, digital books, and online encyclopedias and databases. Passwords for databases are not necessary at school, but if students want to access them from home, passwords and login information for digital books and databases can be found in Blackboard. Students come to the library for instruction and check-out on a regular basis. They may also stop by through the school day to renew or check-out books. All students and staff are automatically entered into the computerized checkout system. There are no fines, but books should be returned promptly so other students may use them. Students who lose or damage library materials will be charged the replacement cost. See what books are available in the library at Floris! This collection of educational online databases and eBooks are available to all FCPS students and staff.